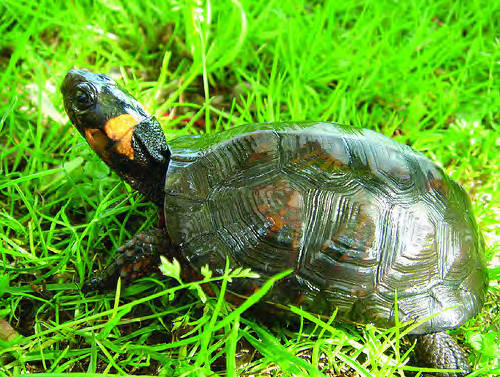 Bog turtle; reptile symbol of New Jersey. Photo by USFWS Endangered Species's photostream/Flickr (Use Permitted with Attribution). 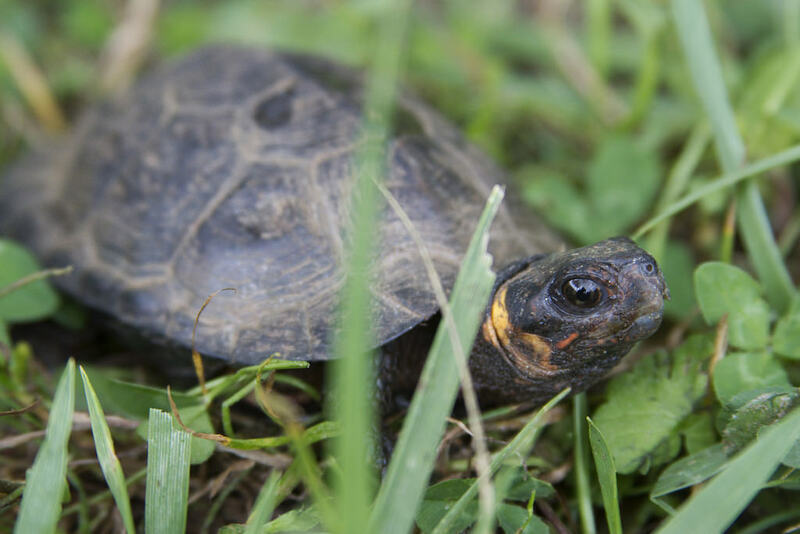 The endangered bog turtle was championed by 4th-grade students at Riverside Elementary School who lobbied New Jersey legislators for two years (guided by their science teacher Mark Eastburn). Students hope the state's reptile symbol will help efforts to restore habitat and allow threatened and endangered species to once again thrive in New Jersey. The elusive bog turtle is one of the smallest turtle species native to North America. It has suffered from habitat loss, pollution, and illegal collecting in New Jersey. which have contributed to the declining population of this rare reptile. Juvenile bog turtle; Wallkill River National Wildlife Refuge, NJ. Photo by Rosie Walunas/USFWS Headquarters/Flickr (use permitted with attribution). 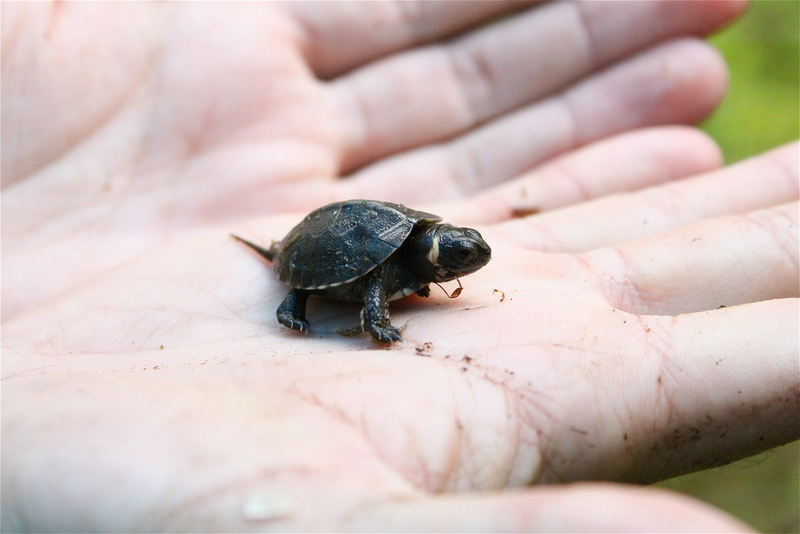 Bog turtle; the smallest North American turtle; critically endangered. Photo by USFWS Endangered Species's photostream/Flickr (use permitted with attribution).